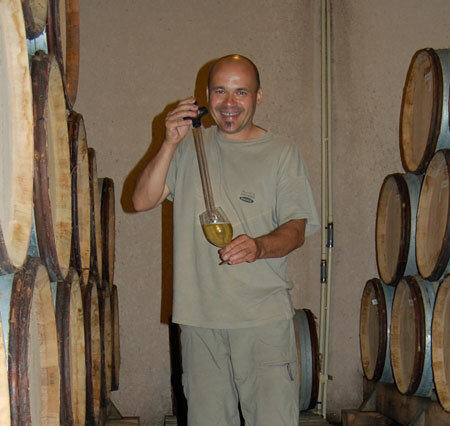 Known as a Condrieu “Master,” François has grown his tiny domaine from four to seven hectares and still produces a miniscule amount of highly allocated bottlings. 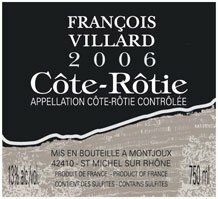 Referred to by Robert Parker as one of the “stars” of the Northern Rhone, François has recently acquired a small parcel in Cote-Rotie and a few ares in St. Joseph. 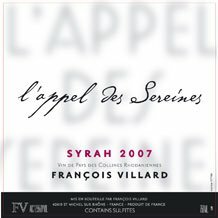 Formerly a chef, François brings his complex palette to the winery to produce wines of power and grace that age for years. 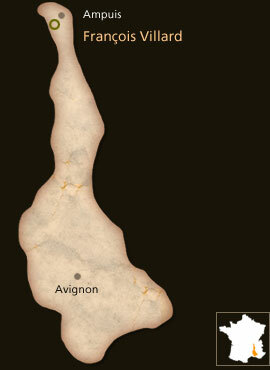 The terroir of the Northern Rhone is, in a word, amazing. Fully exposed hillsides that face the East are covered with terraces first created by the Romans. The soil is made up of small gravel and decomposed schist over a bedrock of granite. The exposition allows for excellent ripening of the Viognier and Syrah grown on these coteaux and for exceptional water drainage (So much so that terraces are always needing to be repaired.) The climate is warm with much cooler night than those found in the South. The absurdly steep hillsides of the Northern Rhone mean that harvesting by hand is the only option open to winemakers. François Villard and his crew harvest in very small baskets along extremely narrow terraces, making for backbreaking and dangerous work. These baskets are then emptied into larger boxes to be taken down the hillsides by tractors, and in some cases, donkeys. The results, however, are unrivaled.